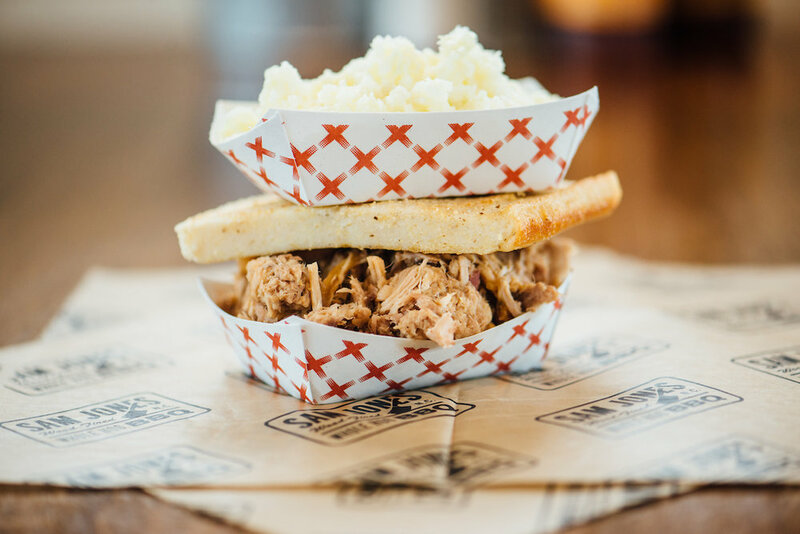 Sam Jones BBQ is a North Carolina standard. Whole hogs are smoked on site, chopped and served daily. Come on over and see us. 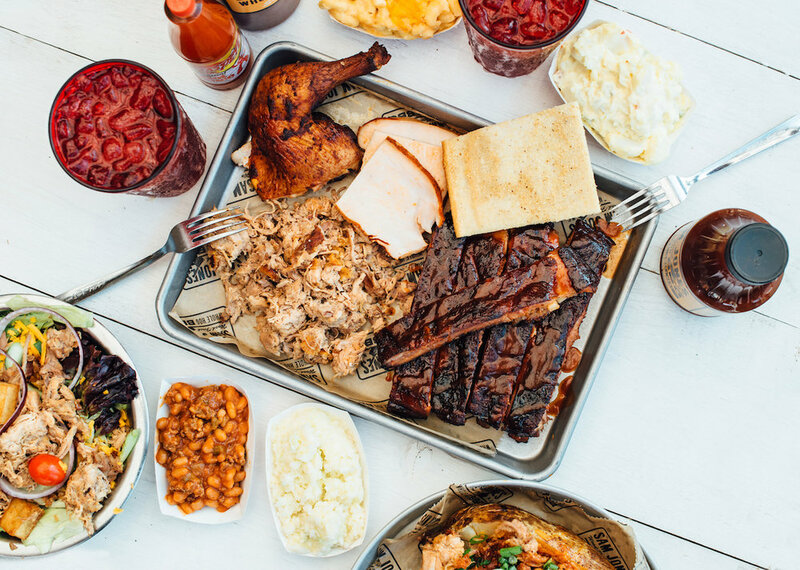 Serving Eastern North Carolina-style BBQ (and a whole lot more) seven days a week, Sam Jones BBQ is a must-try barbecue restaurant for any lover of whole hog barbecue. 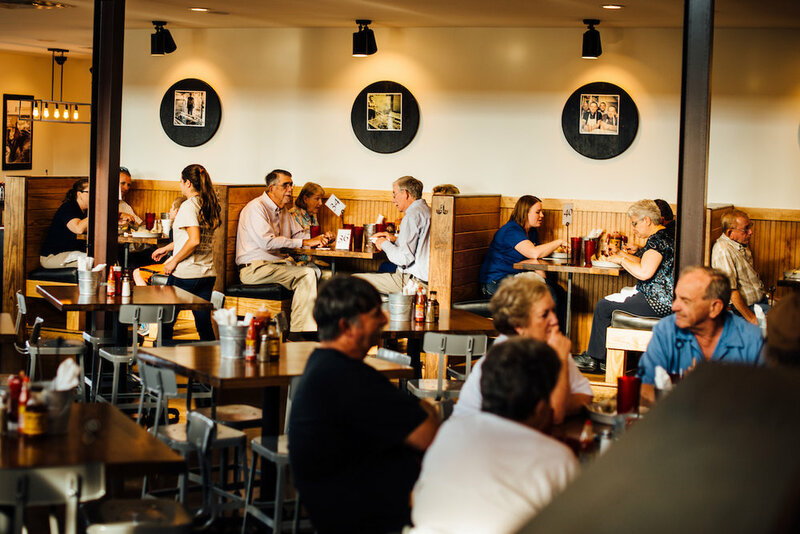 Are you looking to take the family to a barbecue restaurant for a great meal? Do you need to find barbecue catering for your next event? Look no further than Sam Jones BBQ! 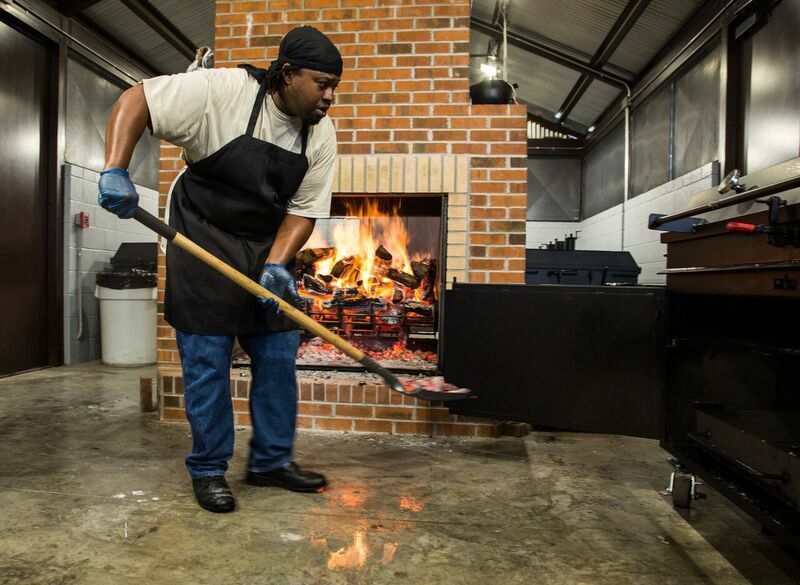 Our restaurant is rooted in the principles of traditional barbecue. 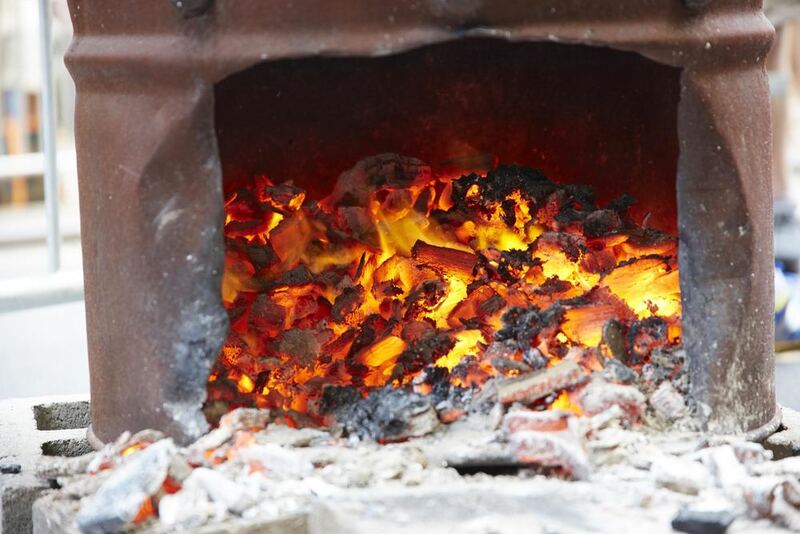 Coming from a long line of good ole BBQ folks, Sam has sparked a new fire in Eastern NC BBQ. 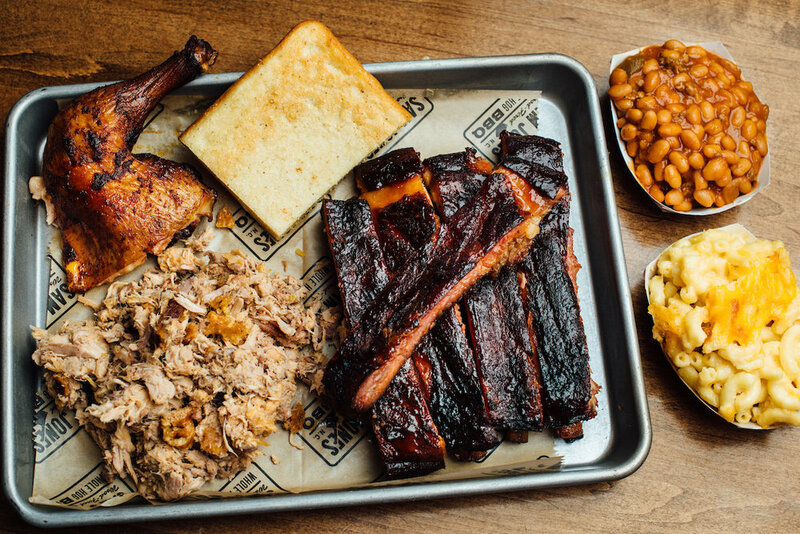 While honoring the heritage, you'll find a few new spins on dishes with smoked meats. 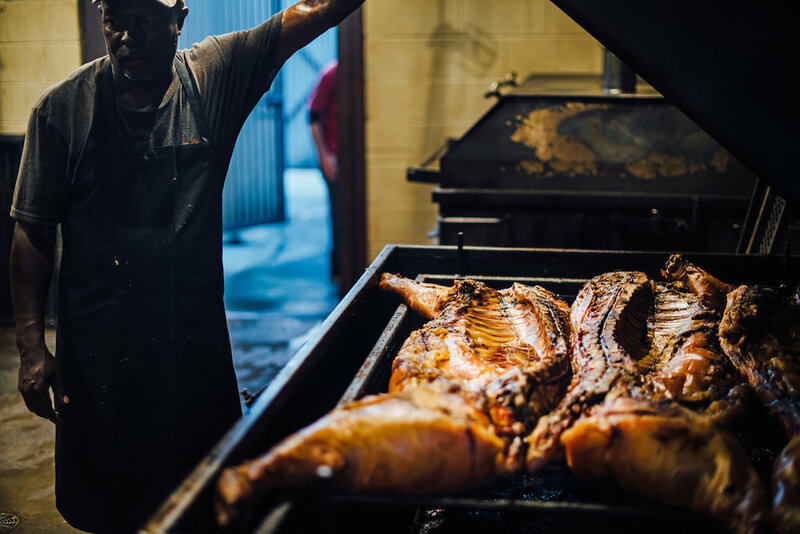 At Sam Jones BBQ, you'll find a detached smokehouse pumping out fresh food cooked over wood every single day. Everything – and we mean everything – is made fresh daily. Barbecue is simple. Start with a good product, cook it the way it should be cooked, and you will see the reward for that on a smiling customers face. Serving Greenville, Raleigh, Wilmington and the surrounding areas, Sam Jones BBQ is also available for catering services. Feel free to browse our menu to see some of the mouth watering dishes that we can serve you! Join Our ‘Que Crew For Free BBQ! 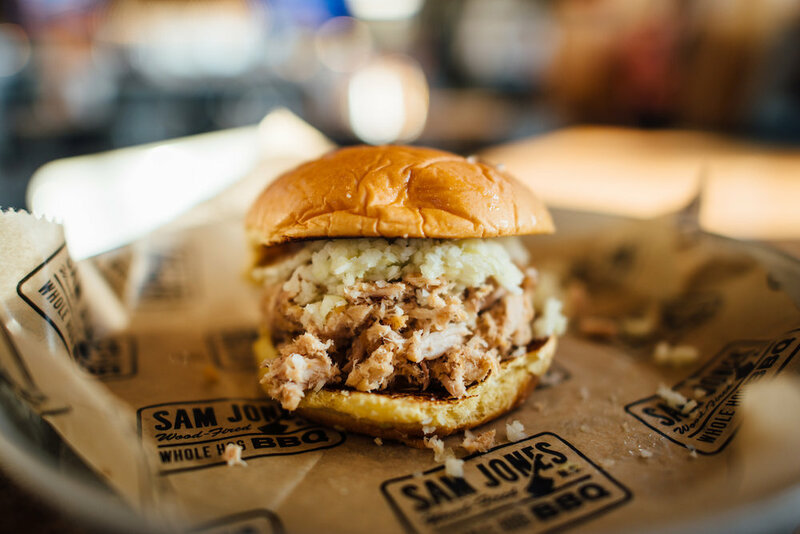 You can't talk about North Carolina BBQ without talking about Sam Jones. 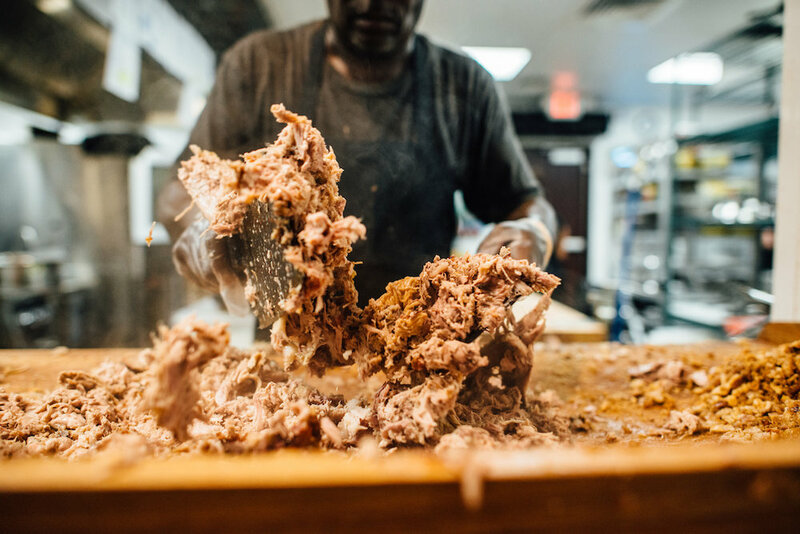 A third generation pitmaster, Sam Jones has dedicated his life to the art of whole hog BBQ, and we bet you'll be able to taste that passion with just one bite.